While we put a lot of effort into making DVR Examiner simple and easy to use, it is still a very complex tool with a lot of powerful capabilities. 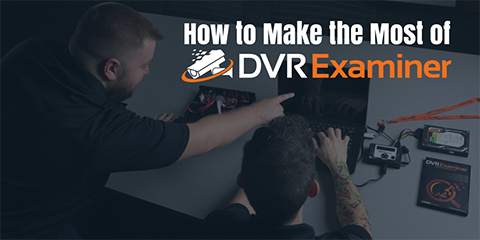 Understanding the basics behind how DVR Examiner works, as well as the best practices and methodologies for the software can be critical in any investigation. With training, you can fully maximize DVR Examiner’s potential to assist in your case. We offer a lot of tools for learning more about DVR Examiner, including webinars, videos, and blogs, but the best way to become a DVR Examiner expert is to participate in our User Certification Training. Our User Certification Training guides users through the process of how DVR Examiner works, from DVR acquisition to complete video recovery and data output. We will go over all of the newest features of DVR Examiner, including the recovery of deleted (inaccessible) video. Students will explore how to make the most of DVR Examiner in real world scenarios, and how to defend your evidence in a court. Our next scheduled training combines our User Certification Training alongside a unique total workflow training with our partners at iNPUT-ACE. In this Complete Forensic Video Acquisition & Processing course, users will receive an in-depth training of how to save time when processing critical video evidence. Learn more about this training and sign up today. We will be announcing our schedule for DVR Examiner exclusive User Certification training throughout the year, but expect to see 3-4 class across the country within 2018. To stay up to date on training as they are announced, sign up for our mailing list.